THE B-MOVIE NEWS VAULT: STOCK YOUR VAULT: New DVDs & Blu-rays for 04/02/2019! Welcome to April 2019 fellow collectors of physical media! The month is starting off slow with a slew of indie and direct-to-DVD titles, plus some anime offerings and a handful of big releases! 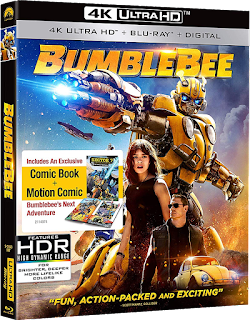 Paramount comes out swinging with BUMBLEBEE, their enjoyable reboot of the TRANSFORMERS franchise! The 4K release comes with a Blu-ray and digital copy of the film, plus a mini comic book, tons of deleted scenes, and other cool extras! The oddly dramatic THE MAN WHO KILLED HITLER AND THEN THE BIGFOOT is now available on DVD & Blu-ray, TERRA FORMARS invades Arrow Video's U.S. catalog, Tom Selleck tries to prove that he's AN INNOCENT MAN in Kino Lorber's newest Blu-ray release, both animated HELLBOY films are now out on 4K UHD, and Scream Factory caps off the week with two new IFC Midnight titles, namely PLEDGE and RUST CREEK! 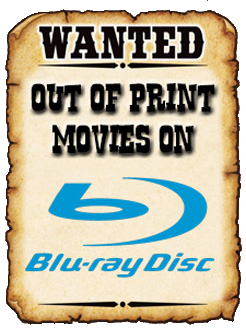 There's not much else to point out this week (except maybe the new mockbuster PET GRAVEYARD), but be sure to scroll down to see all of this week's newest DVD and Blu-ray titles!